Life is full of stress, both good and bad, but how we handle that stress can have a dramatic effect on our health. Although many people are aware that stress can lead to difficulty sleeping, depression, weight gain, hair loss and even sexual dysfunction, fewer are aware that it can also affect their oral health. Indeed, researchers have discovered links between stress and several serious dental health problems, including bruxism, canker sores, dry mouth, TMJ disorders and gum disease. • Bruxism, or teeth grinding, can cause premature wear or even cracking of the teeth. If you suffer from bruxism, our dentist may prescribe a night guard to protect your teeth and jaw from damage. • Canker sores are small, extremely painful mouth sores that are not harmful but can interfere with eating, drinking or speaking. Topical treatments can relieve the pain and discomfort associated with canker sores. 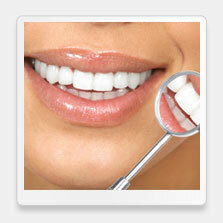 • Dry mouth can increase the risk of gum disease and tooth decay. While chewing sugar-free gum or sucking on sugar free candies may be sufficient to increase saliva flow, our dentist can also prescribe a saliva replacement product, if necessary. • TMJ disorders create widespread symptoms, from chronic headaches and jaw pain to neck and shoulder pain. TMJ can be alleviated with home care, but our dentist can suggest other treatments if it does not respond to more conservative measures. • Gum disease is associated with not just bleeding gums and loose or missing teeth but also body-wide health problems, including stroke and heart disease. If a dental exam reveals that you have gum disease, our dentist will outline a periodontal treatment plan designed to restore your oral health. 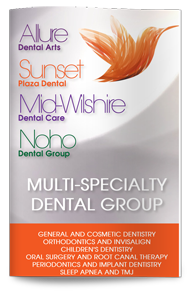 If you are having difficulty dealing with the stress in your life and worry that it’s affecting the health of your teeth and gums, schedule a consultation with our West Hollywood dentist to learn more about your options.